After simply walking around, diving deeper into the community and surveying the local residents, I discovered I loved the Carlton trail, (of course setting aside the fact that my shoulders are consistently cracking from carrying my bag). I found that the North Carlton/Carlton trail was definitely beneficial in many ways for me. I found traveling as a ‘pack’ a little strange, but exciting in ways that traveling in small groups cannot offer. I loved being able to compare North Carlton to Carlton itself, the differentiation is incredible and I really enjoyed simply absorbing the vibrant contrast. 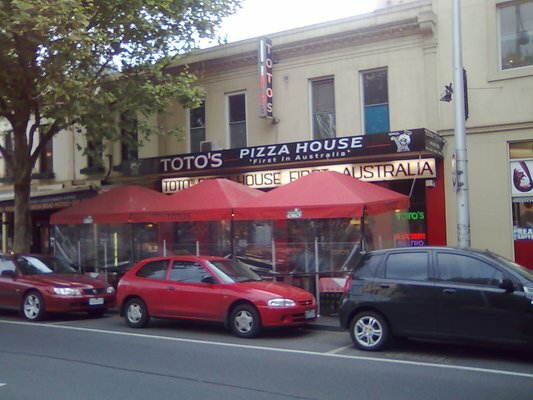 The homely feel of North Carlton emitted a different sense of community when compared to the lively and bustling Lygon Street which gave of a strong feeling of belonging. If I were to go on this trail again, I would definitely not bring so much extra junk in my backpack. I’m doubting my shoulders will ever forgive me. On a happier note, I wouldn’t change this trail. I feel that having surveyed only a couple of people has improved my surveying skills a lot, and I personally believe my ‘interrupting’ skills have been refined. It really surprised me to see the change of community vibe within a kilometre or so, which really shows the effects of being closer to the city. I think this trail deepened my understanding of what builds a community and keeps it alive, and local opinions definitely strengthen that point. Overall I found this trail really interesting and it definitely changed my perspective.